The external mechanical force acts on the action reed by the drive element (pin, button, lever, roller, etc.). When the action reed is moved to the critical point, the instantaneous action is generated, so that the moving contact of the end of the action reed is quickly connected or disconnected. When the force of the transmission element is removed, the action reed produces the reverse action force. When the reverse stroke of the transmission element reaches the critical point of the reed movement, the reverse action is completed instantaneously. 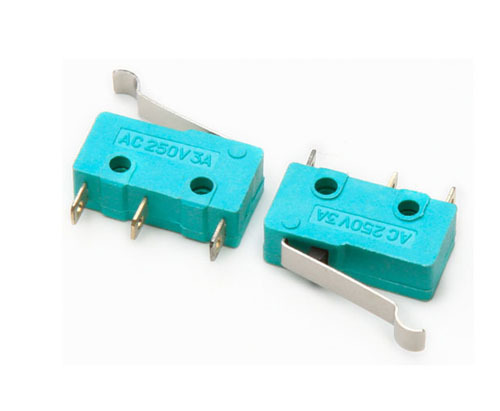 The micro Switch has small contact distance, short action stroke, quick power and quick interruption. The moving speed of its moving contacts is independent of the speed of the transmission elements. Looking for ideal Micro Level Switch Manufacturer & supplier ? We have a wide selection at great prices to help you get creative. All the Mini Mouse Switch are quality guaranteed. We are China Origin Factory of Switch with Iron Lever. If you have any question, please feel free to contact us.